Odisha is sometimes referred to as the state of temples. With more than 500 temples scattered all over its land, it is one of the most religious places in India. The major temples in Odisha which are extremely famous amongst Hindu devotees as well as tourists, on account of their grandeur and glamour include, Sun Temple, Lingaraj Temple, Jagannath Temple and many more. Did you know there are several Jagannath temples in the state of Odisha, which are always crowded with the devotees during the festive seasons? If you desire to learn more about these Jagannath temples in Odisha, then scroll down. Located in Dharakote at an approximate distance of 12 km from Rushikulya river, one of the major rivers in Odisha, this Jagannath temple is famous amongst locals. Even though it resembles the famous Jagannath Temple at Puri, it is still unable to allure tourists from all over the country. The major speciality of this temples lies in its architecture and structural formation. Surrounded by green trees and adorned with intricate patterns on the walls and ceiling, Jagannath Temple deserves to be popular amongst national tourists. Another beautifully designed and architecturally built Jagannath temple is none other than the Jagannath Temple at Baripada in the Mayurbhanj district. It is one of the oldest temples in Odisha and is extremely popular for its Rath Yatra which is conducted on a large scale every year and is believed to be the second biggest Rath Yatra in Odisha after Puri. On account of its popularity during the cart festival, Hindu devotees can be seen accumulating here in thousands of numbers every year to pay their respects to the temple dedicated to the Lord of Universe. The major speciality of this temple, which distinguishes it from others is that it also gives opportunities to female devotees to pull Maa Subhadra's ratha. This list is definitely incomplete without adding Jagannath Temple at Puri. 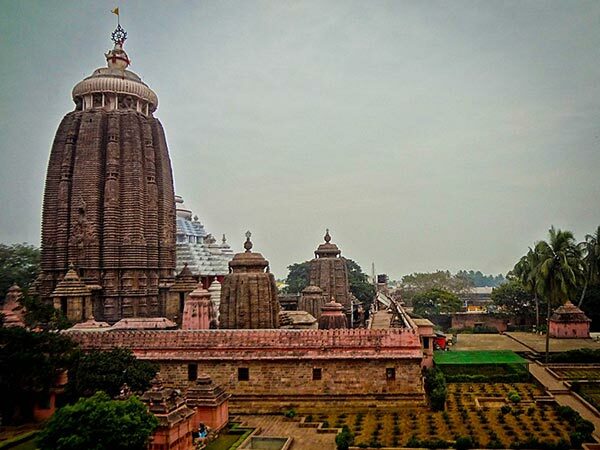 This is the biggest and the oldest Jagannath Temple in India and several stories of its formation can also be found in the epic Mahabharata and the ancient text of Puranas. Even though the exact year of its formation is still unknown, it is believed that it has been in existence for millenniums and has been celebrated since its outset. Jagannath Temple at Puri is also one of the major pilgrimage sites in Hinduism and is considered as one of the four great Char Dhams in India. The rath festival which is conducted every year is something which should not be missed if you are looking forward to capturing the grandeur of this temple during the festive season. So, why not plan a trip to this immensely popular temple? Jagannath Temple at Koraput is one of the unique Hindu temples in Odisha as it is not bound to a specific religion. Even though it is dedicated to Lord Jagannath, it is open for each and every individual irrespective of their caste, creed and religion. Who would not love to visit such as secular temple which has chosen humanity over religion? It is a complex of nine temples with its history dating back to the period of the 12th century. Built during the 18th century, Jagannath Temple at Nayagarh is another marvel in Pancharatha style. Surrounded by green gardens, the ambience of this temple is quite relaxing and calm. If you want to pacify your soul amid a positive environment, then Jagannath Temple at Nayagarh should be your destination. The major festivals celebrated here include Rath Yatra and Snana Yatra.